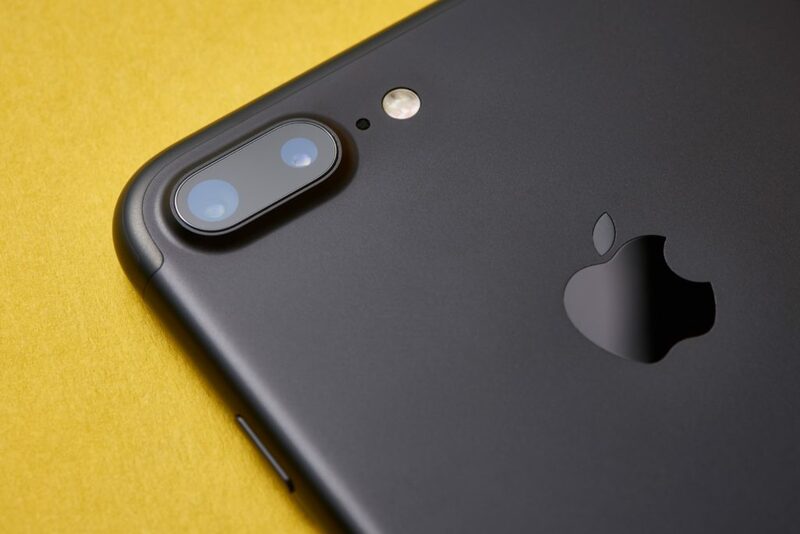 Whether you’re a lover or a hater, there’s no denying that Apple has changed the face of the planet. They’ve built some of the most iconic tech products of the past 30 years. From the iPod to the iMac—“It just works” became the mantra for the most successful corporation to ever exist. However, for all of Apple’s innovation and forward-thinking technology, there’s one thing they never got quite right. Email. The thorn in the side of the Apple empire. Apple Mail has never been a flagship product. More of an afterthought really. In fact, Apple themselves developed its mail client from NeXTMail, a competitor they acquired way back in 1997. Since then, it has undergone a raft of updates and alterations. But get this. You couldn’t even attach a file to an email until iOS 9. And many people found the UI of the initial iOS X release to be agonizingly counter-intuitive. The thing is, even though Apple Mail has kept pace with its competitors, it’s never really done anything special. Unlike most of its other products, innovative thinking seems to have been left firmly inside the box. And let’s face it. For something that is such a huge part of our daily lives, Email is in dire need of an update. Here at Spike, we think it’s time for a change. And we’ve got the perfect Apple Mail alternative designed to bring email up-to-date. Apple Mail alternatives have come and gone. You’ve probably been through your fair share of 3rd party apps designed to help you more efficiently manage your email. However, they all seem to follow the same formula. Spike does things a little differently. Ditching many of the old email conventions in favor of something altogether more human. We call it Conversational Email—and it’s about to revolutionize the way you communicate and manage your work. Take a look at how Spike compares with Apple Mail and see the difference for yourself. Priority Inbox ➡️ Tired of dealing with the drudgery of Apple Mail’s outdated inbox? Our Apple Mail alternative loses the old-style folder system and puts your most important messages right in front of you with Priority Inbox. All your less important newsletters and marketing emails are redirected to the “Other” inbox. No more searching the Spam folder for missing mail, and no more checking multiple folders for emails sent to different addresses. Real-Time Email Awareness ➡️ Waiting patiently (or anxiously) for an email reply is a thing of the past with Spike’s Apple Mail alternative. Now you can stop stressing about whether your mail has been received or read with real-time email awareness. At-a-glance icons in the bottom corner of your mail tell you that your mail reached its destination and whether it has been read. For Spike users, you’ll also get audio and visual notifications when your contact is replying. It’s as easy as an instant messenger and as responsive as a face-to-face conversation. Groups ➡️ Email has always been a little static when it comes to collaboration. Today, the older CC and BCC standards lack the dynamism you need to push your productivity to the next level. Groups, on the other hand, is made for team work. You can invite anyone to the conversation (both Spike and non-Spike users) and you’ll enjoy real-time messaging and instant file sharing without the confusion of forwarded emails and blind email lists. Of course, you can still use both CC and BCC if you want, but Groups is a much better alternative to Apple Mail when it comes to working together. Calendar ➡️ Spike’s Apple Calendar alternative puts your scheduling front and center. No more switching between apps. Calendar is built right into your email. You can easily integrate multiple calendars from different email addresses, allowing you to conveniently set up events for both your personal and professional life. It’s the perfect antidote to the never-ending silos of information stored in different apps. Super Stealth Encryption ➡️ For increased security, Spike has implemented AES256 encryption as standard—providing Super Stealth Encryption for all your most important data and files. For Spike users, encrypted emails are displayed seamlessly within the recipient’s inbox. For non-Spike users, they’re just a click away. Signatures, Headers, Confusing Email Threads. Who Needs Them? 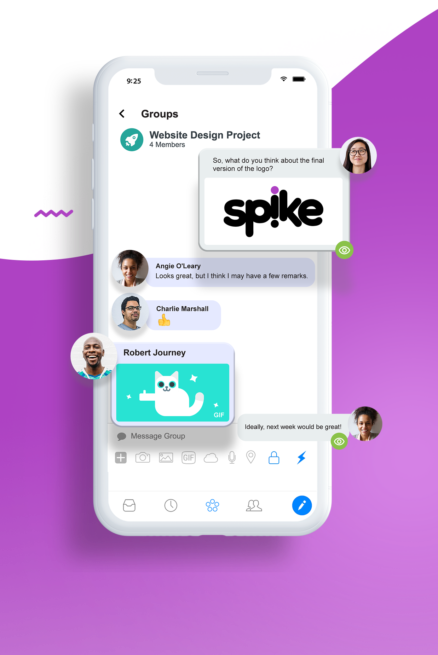 Spike has all of your favorite email and productivity tools integrated directly into the app. However, where Conversational Email really shines is in its user interface and real-time email awareness. We’ve ditched the useless headers, said goodbye to the stuffy signatures, and consolidated the endless email threads into an easy to read (and even easier to find) instant messenger style format. As an alternative to Apple Mail, it’s a breath of fresh air. As a standalone email tool, it’s ready to usher in the future of communications.